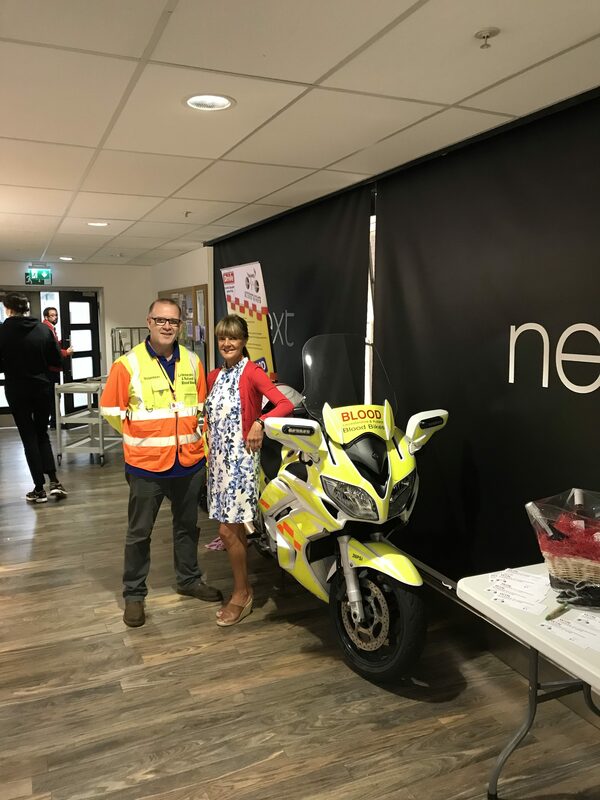 A big thank you to Andrea Burley and her colleagues for inviting us to spend the day raising awareness of the group at Next’s head office. Turning up on a very wet day, we were asked to wheel the FJR through to their cafe situated in the middle of the office block! As you can imagine we raised a few eyebrows as we maneuvered the bike around the corridors, but once in situ, we had a very positive day. A lot of interest in the group and we successfully signed up two new members – welcome to Neville and Emma who will be working through their training and joining the team on shift soon. As well as raising awareness of who we are, Next ran a raffle with the proceeds coming to LRBB, which is fantastic news and again, many thanks to those who bought tickets on the day. Ollie trying to get out of shot! 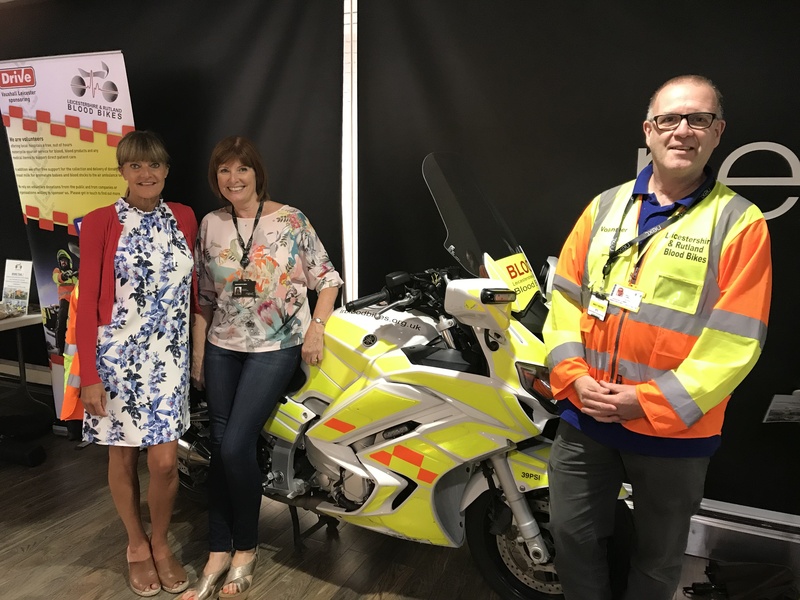 Andrea and Bernie – huge thanks for our invitation and for all your help throughout the day. Thanks to all the staff in the cafe for looking after us!